It’s a totally big deal to decorate and furnish a huge mansion or a large country house. 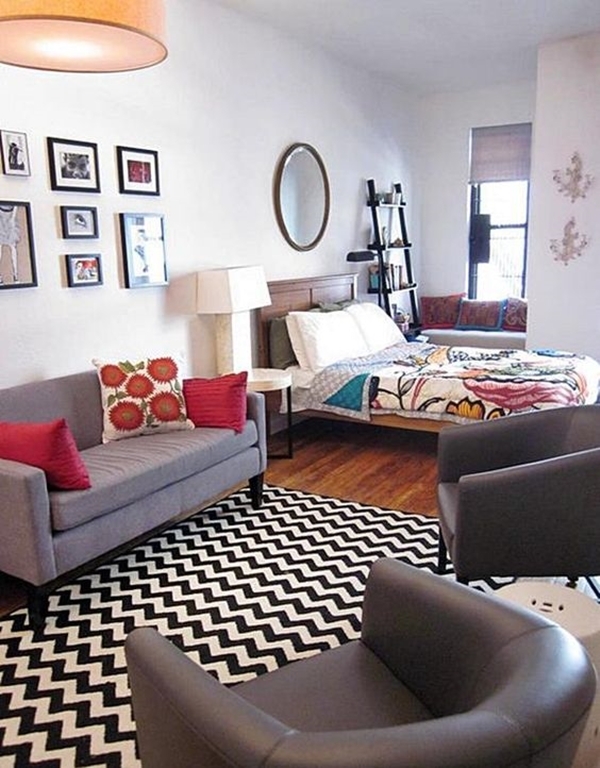 And then it’s a big challenge to furnish a small studio apartment. 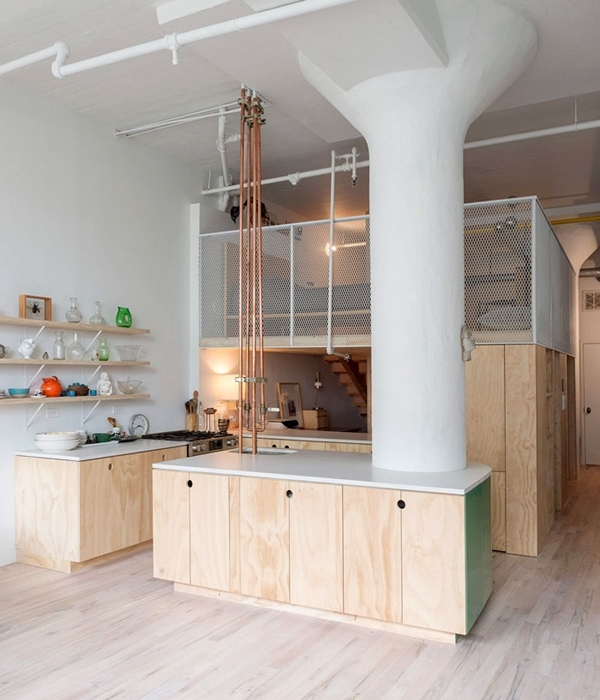 When one can face different issues while furnishing a big home with enough space, no wonder when it comes to a small studio apartment one can see a headache coming a long way. 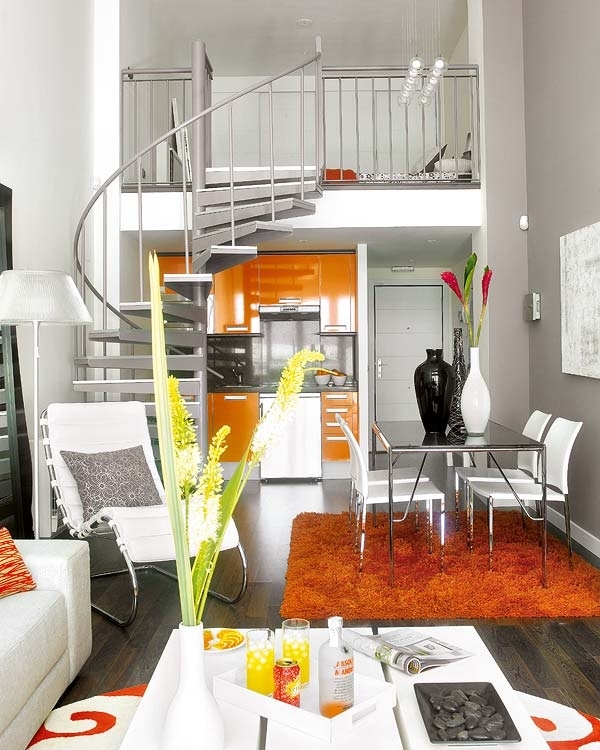 But kick that nasty headache coming your way before it reaches you and just get ready with these Smart Ways to Furnish a Small Studio Apartment. 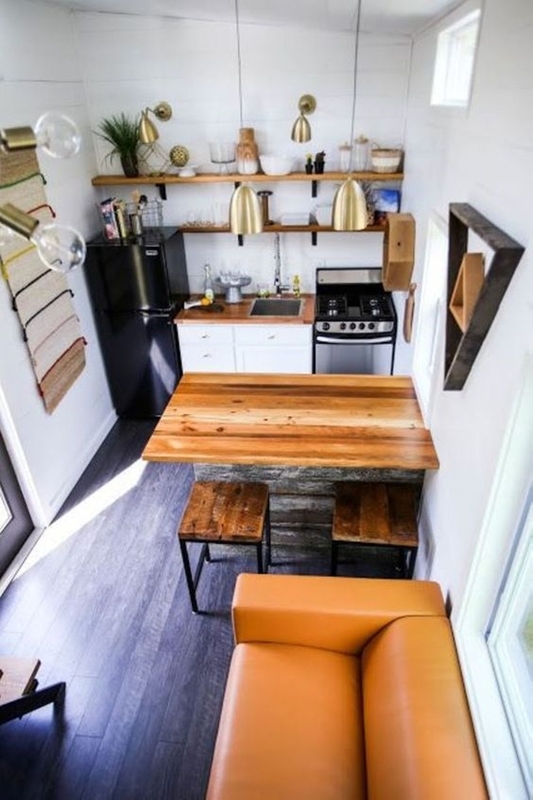 A studio apartment is a great name for a teeny tiny single room apartment where you have to fit all the necessary furniture and your belongings and still need to make it look like a home. 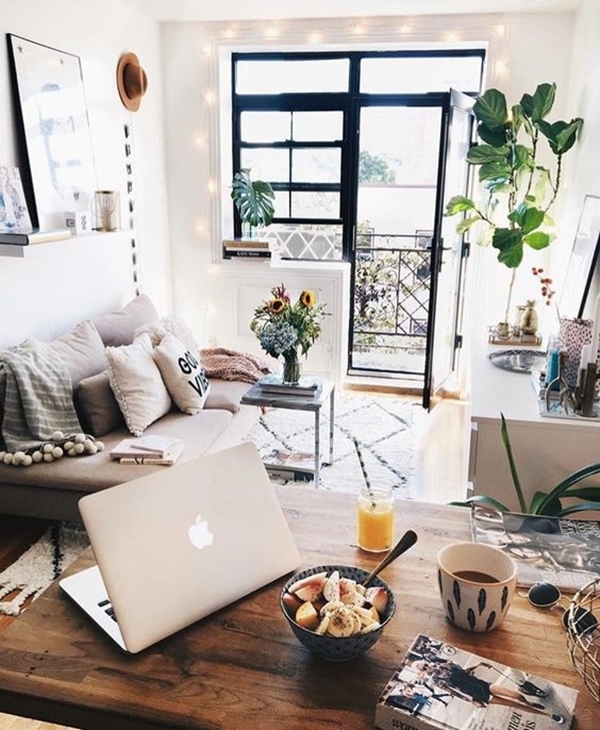 It’s difficult, I know, but that doesn’t mean it can’t be cozy and classy and the view can be worth living in the architectural digest magazines. I know, it’s a single room. Not a big one at that. So how’s one supposed to divide the space and make it look smaller? But who said you need to divide the space using walls. What I mean is assess the space and then decide that on which corner will your bed go and where will go the couch and all such stuff. 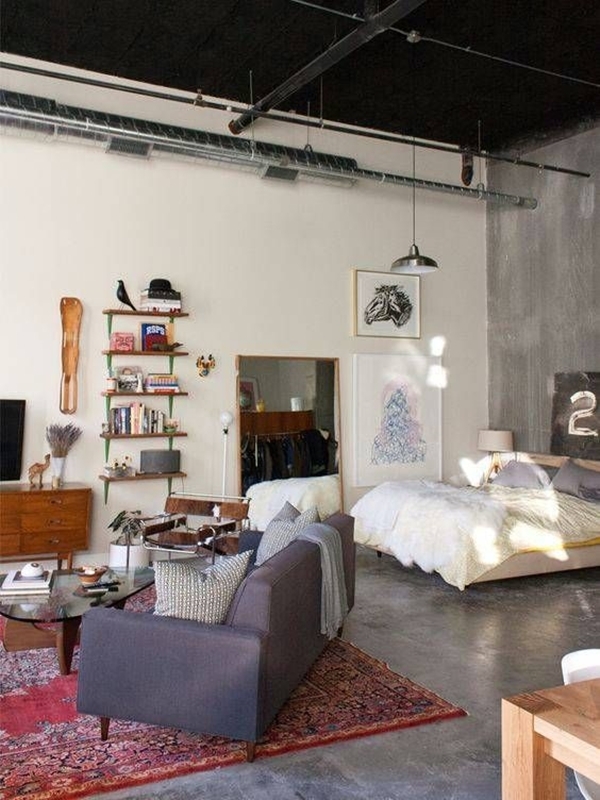 Before you buy all the furniture for your studio apartment, it would be a great idea to mentally prepare a vision so you can buy all the stuff accordingly. Get a farmhouse living room with these decor ideas. 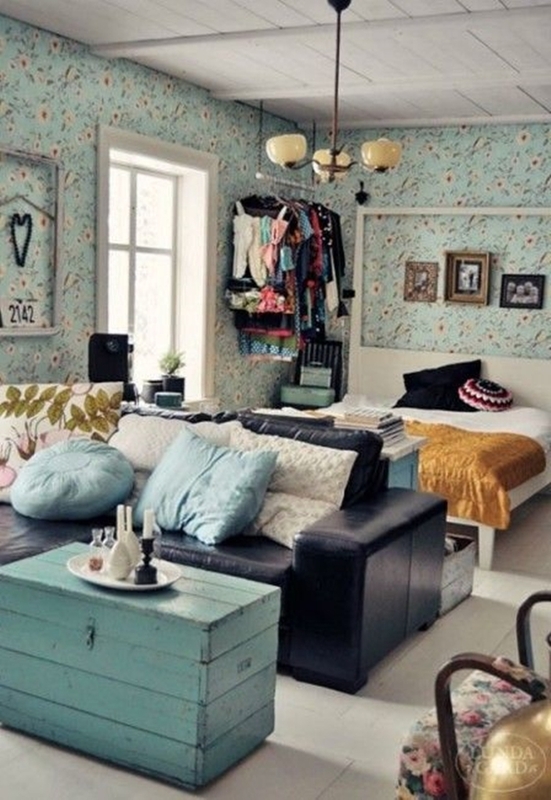 There’s hardly any space left after you have filled your studio apartment with all your stuff. So, I would suggest putting your bed in a corner. 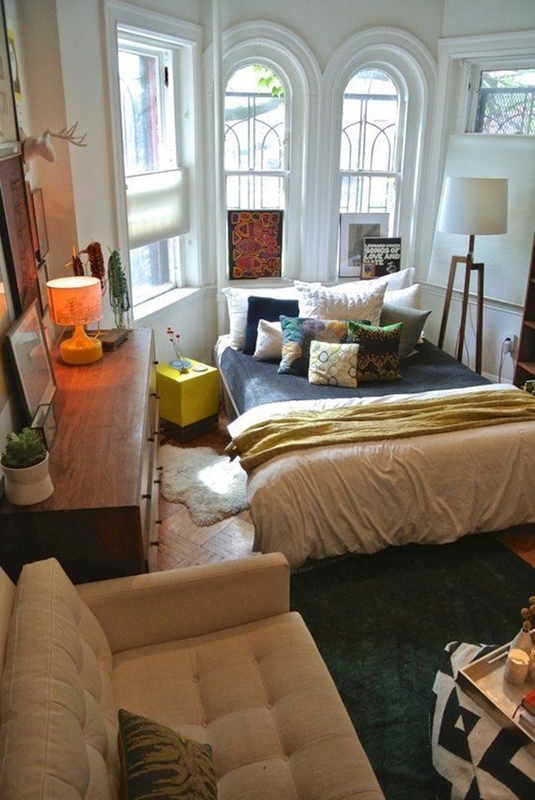 A corner is an ideal space for your bed and you do a lot of different things to get a private bedroom nook. 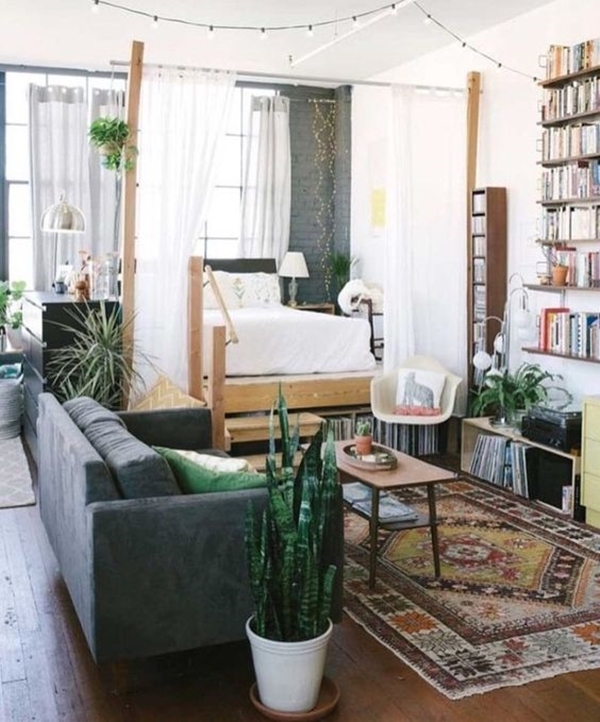 You could drape the curtains around your bed or you can set up a bookshelf beside the bed which will work as the barrier wall between the living space and bedroom. 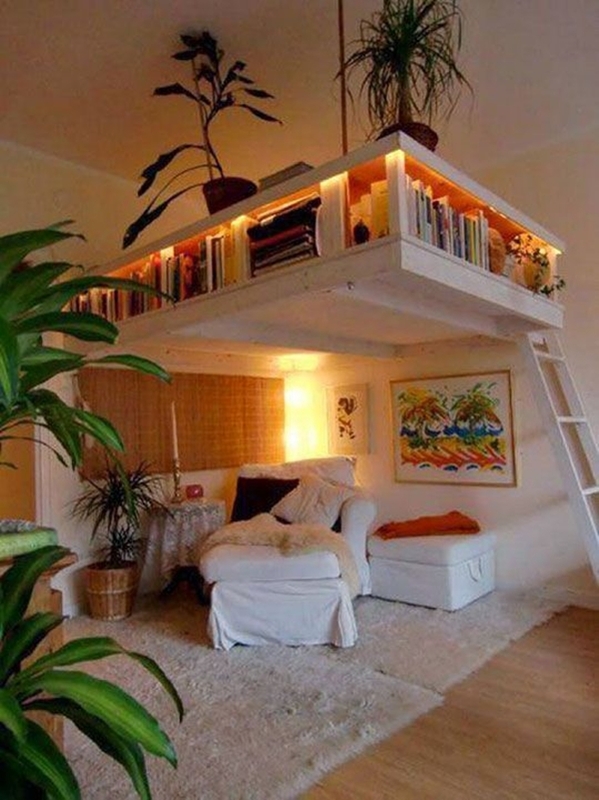 Consider a loft area for your bed. That way you can get a lot of free space. You might often think that since space is less you should opt for the small furniture. 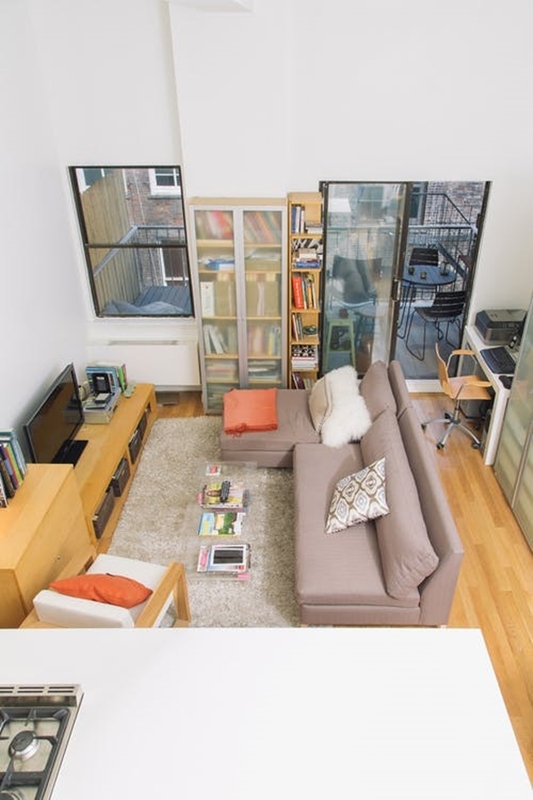 In the end, it turns out to be a small space crammed up with small furniture pieces and no moving space. So go for big furniture like a big couch that would do the work and will actually add more class to space and makes the studio look spacious. Make sure you have a little kitchen garden with these herb plants that are really worth it. Trying to a fit in the whole of your life in a studio apartment is not a child’s business. And that’s why you need to make smart choices of furniture. 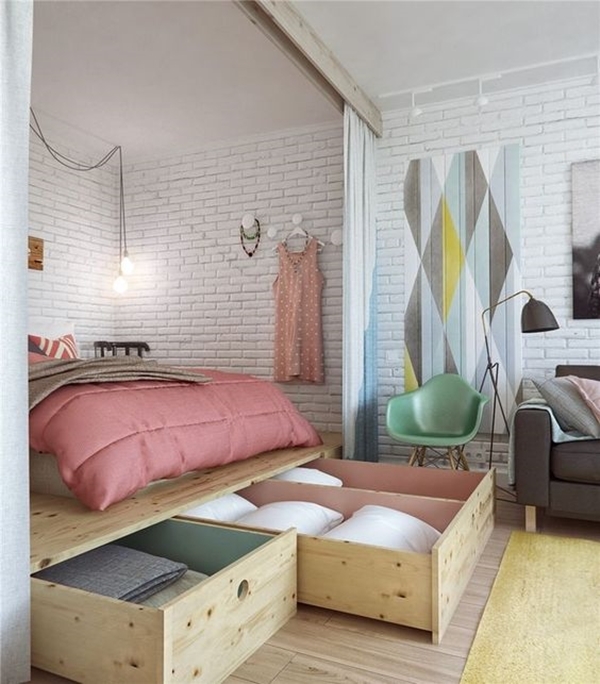 You can try the multifunctional closet, elevated bed to get more storage area under the bed, using a trunk as a coffee table as well, etc. 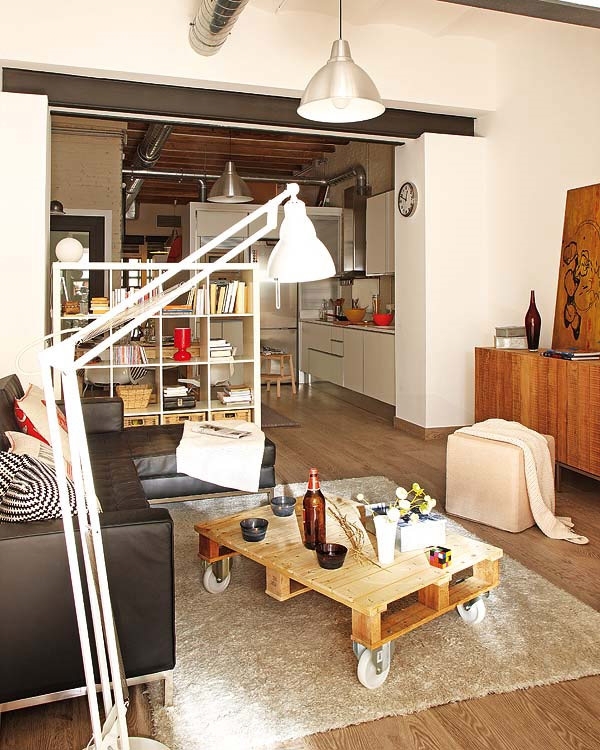 Using the multifunctional pieces will give you enough storage space as well as a clean chic look to the studio apartment. For a chic look, you better not obstruct any light source in your apartment. Use bright colours for the walls that will make the room more spacious and light curtains to give a cozy feel to the apartment. A couple of pot of plants here and there won’t clutter your studio. It will, in fact, add a great look to the room. Greenery is always a great thing and you can use some plants for aesthetic beauty as well as deodorizers. We all know the trick of mirrors. They not just reflect light and brighten up space but create the illusion of a large area. So hang a mirror on the wall that will make your room look more spacious and lively. 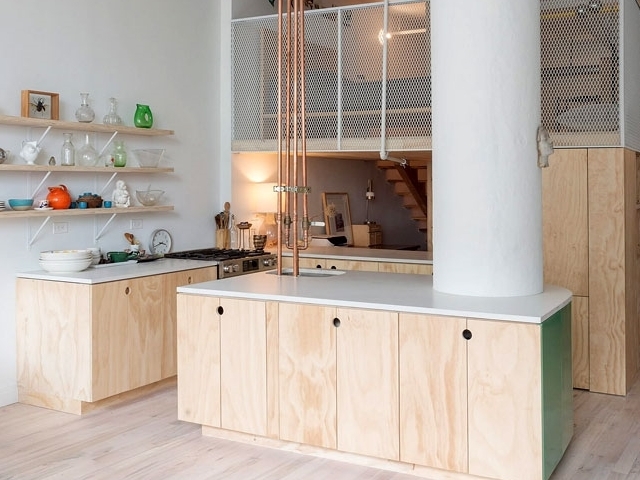 If you want a cozy and nice apartment then you need to keep it clean, especially the kitchenette. Here’s how you can keep your kitchen clean and classy. You can easily get a chic and lovely studio apartment by hiding things in plain sight and keeping the area clean and mess-free. Don’t want to see your bed or the kitchenette every time you turn your head? Then be smart and get smart walls to separate these areas. You can either go for sliding glass walls or light-weight curtains to create the separation. That looks really great. Yes! Don’t let the small space dictate your love for aesthetic beauty. 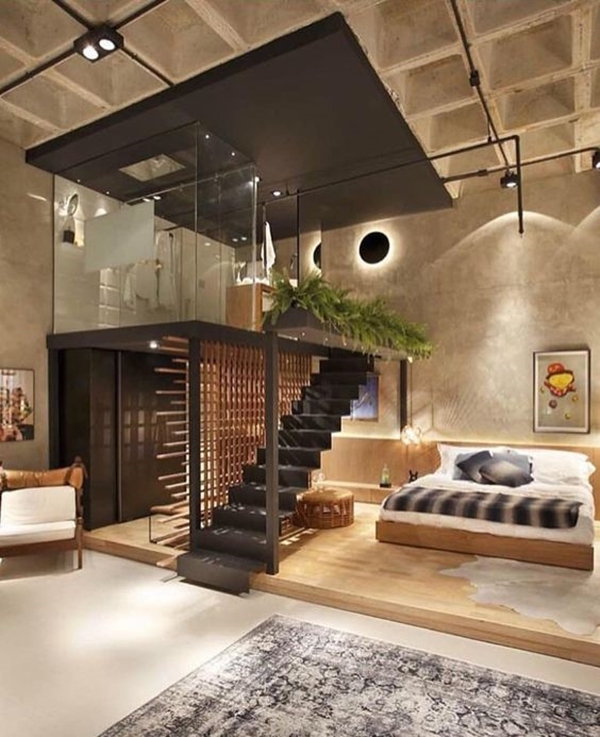 Use the walls and ceiling as well. Add hooks and pegs to your walls and ceiling for not just the sake of décor but functional as well. Some of these toilet paper roll craft ideas may add a chic look to your studio. 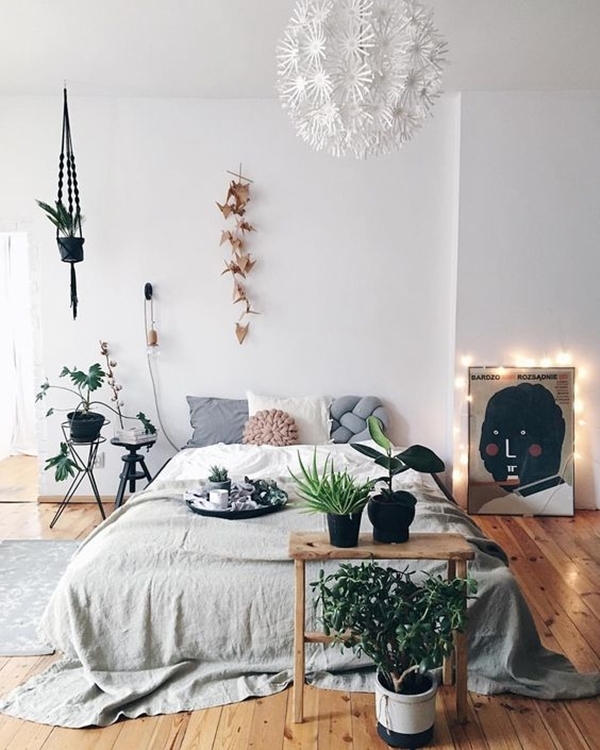 That studio apartment might be small but it’s still your home, so fill it with these feng shui tips. And don’t let that little space dishearten you and instead make smart choices and make it beautiful apartment of yours.